America’s Only Real Choice: Constitution or Tyranny? The corporate-government press has given US a myriad of choices. Democrat, Republican, Conservative, Liberal, Hawk, Dove, Pro-Life, Pro-Choice, Fathers, Mothers, Children, Best Interest, No Interest, Patriots, Terrorists, Values, No Values, Stupid, Not Stupid, Conspirators, Conspiracies, Theories, Divinities, etc., are merely labels to divide and divert the people from the only question that needs to be asked of America. 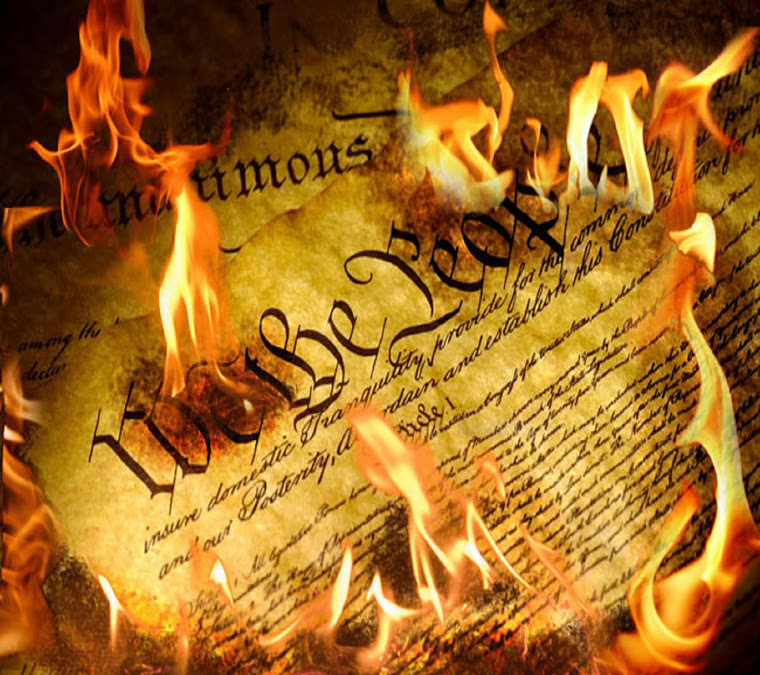 Does America Live by the Constitution of America or do we exist in Tyranny? The answer to that Constitutional Question answers almost all the rest of the corporate-government label questions and allows the People to focus on what is Right, Just and the True America. 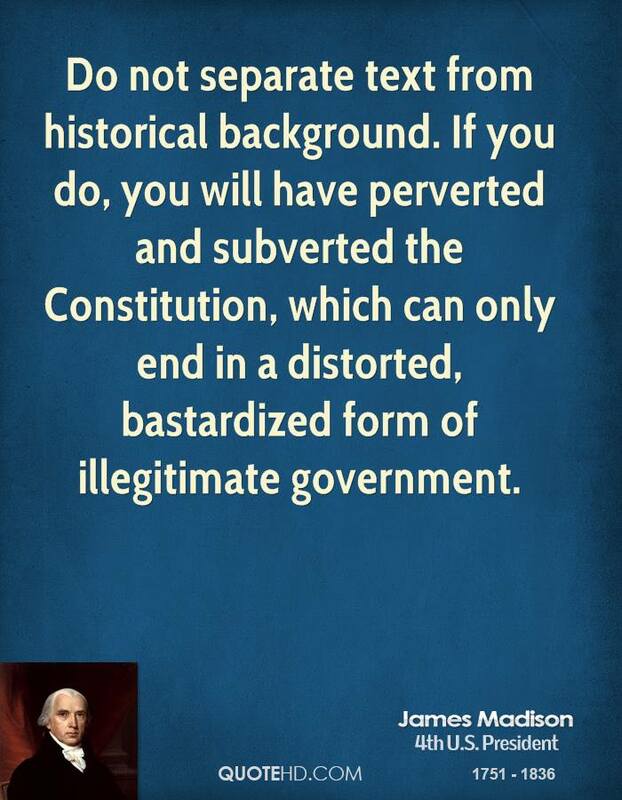 The Father of the Constitution’s words and meanings are clear. Anything other than a Historical Background Constitution Interpretation is Tyranny. James Madison wanted to be sure future America could not say, “No one told me.” James Madison wanted to make sure future America knew exactly what Interpretation of the Constitution Must Be Used in All Government and Public Circumstances. Deviation from the Historical Background Constitution is Tyranny. 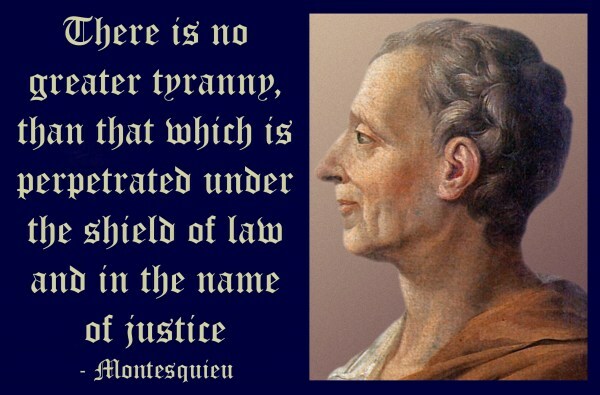 Virtually all other labels disappear when placed in the Constitution Vs Tyranny context. Most are solved, many of the rest become insignificant. Those that do not fall, others having been solved, in either the Constitution or Tyranny group will be much easier to identify and fix as America can work together in a non distracted concert. Instead the corporate-government press cranks out labels and pseudo-divisions of each individual aspect of violations of the Constitution, so that the ‘labeled’ will identify with an individual cause furthering isolation and distraction from the only answer that divides almost all the “labels”. Each individual taking their stance for their isolated cause, must decide if their stance is Constitutional or Tyrannical. There is no new or old situation, of which this author is aware, that is not easily settled by the Original Intent Interpretation of the Constitution. What about this new label not envisioned by the Constitution. All labels have been envisioned by the Original Intent Constitution. There are no labels on the Original Intent Constitution so that it could and does apply to all situations, although the individual circumstance is not addressed, the general circumstance most assuredly is. Example: “More Smarter Tyrant”, Intercontinental Ballistic Missiles (ICBM) were not around during the Constitution and could not be envisioned. True, the Constitution does not address ICBMs. It addresses no isolated circumstance or label. But, it does address the attack of America by other nations by a tremendous power no individual could survive. England was most definitely an ICBM to them. For that one nation would have destroyed America in it’s entirety. They were in the midst of attack by England as they wrote the Constitution. There is ample reference on America’s response to attack by any individual or any tremendous power. The same is true in all aspects of government actions. There is only one Constitutional answer, all other answers are tyranny. There is no liberal, conservative, or national media. There is only the Corporate Media, barring a few small isolated instances. Do you think corporate media is going to publish anything harmful to corporate media, upset the apple cart, or stop feeding at the trough? The public has had daily bombardments of the “liberal” media by the media, is that not correct? It’s the liberals. It’s everyone. It’s anyone except corporate-government presses. And who told you? Laugh Out Loud, the Corporate Press. It’s not liberals and conservatives. It’s corporations and tyranny. As long as Americans place the labels of individual circumstance, without regard to Constitutionality, on themselves, tyranny will reign. “In questions of power…let no more be heard of confidence in man, but bind him down from mischief by the chains of the Constitution.” –Thomas Jefferson: Kentucky Resolutions, 1798. “Whenever the General Government assumes undelegated powers, its acts are unauthoritative, void, and of no force.” –Thomas Jefferson: Kentucky Resolutions, 1798. Jury Nullification – The last defense of the US people in its fascist courts. See also, ‘Yellow Fringed Flag Courts’. Wake Up and Work Strikes are needed to set US free. Afterward, we can commence with Real Constitutional trials and accountability. This entry was posted on June 9, 2013 at 10:36 pm and is filed under government tyranny. You can follow any responses to this entry through the RSS 2.0 feed. You can leave a response, or trackback from your own site. How Google, Facebook, Yahoo, etc, cooperated with NSA PRISM. More fascist, murderous, scumbags that need accountability in real Constitutional courts. –Thomas Jefferson to Washington Tammany Society, 1809. To take a single step beyond the boundaries thus specifically drawn around the powers of Congress is to take possession of a boundless field of power, no longer susceptible of any definition.” –Thomas Jefferson: National Bank Opinion, 1791.
pre-eminence by birth.” –Thomas Jefferson to George Washington, 1784.
hereditary establishments.” –Thomas Jefferson: Reply to Address,1809. –Thomas Jefferson to Joseph Priestley, 1802. “Whenever the General Government assumes undelegated powers, its acts are unauthoritative, void, and of no force.” –Thomas Jefferson: Kentucky Resolutions, 1798.
are injurious to others.” –Thomas Jefferson: Notes on Virginia, 1782.
ourselves.” –Thomas Jefferson: Notes on Religion, 1776? Constitution.” –Thomas Jefferson: Kentucky Resolutions, 1798. –Thomas Jefferson: Draft, Kentucky Resolutions, 1798.
of our Constitution?” –Thomas Jefferson to Jedidiah Morse, 1822. –Thomas Jefferson to Isaac H. Tiffany, 1816. –Thomas Jefferson to Benjamin Waring, 1801.
in the individuals and their families selected for the trust. necessary, is yet under experiment.” –Thomas Jefferson to M.
–Thomas Jefferson to Francis Hopkinson, 1789. Jefferson to James Madison, 1787. Jefferson to Francis Hopkinson, 1789.
the hands of the judiciary.” –Thomas Jefferson to James Madison, 1789. –Thomas Jefferson to Alexander Donald, 1788. “Whatever be the Constitution, great care must be taken to provide a mode of amendment when experience or change of circumstances shall have manifested that any part of it is unadapted to the good of the nation.” –Thomas Jefferson to A. Coray, 1823.
wanting.” –Thomas Jefferson to Wilson Nicholas, 1803. Jefferson to James Madison, 1801.
for itself.” –Thomas Jefferson to John Hampden Pleasants, 1824.
fast that which is good.” –Thomas Jefferson to William Drayton, 1788. –Thomas Jefferson to Robert J. Garnett, 1824. –Thomas Jefferson to John Tyler, 1810. –Thomas Jefferson to John Cartwright, 1824.
better be borne with; because, when once known, we accommodate ourselves to them and find practical means of correcting their ill effects. But I know, also, that laws and institutions must go hand in hand with the progress of the human mind. As that becomes more developed, more enlightened, as new discoveries are made, new truths disclosed, and manners and opinions change with the change of circumstances, institutions must advance also, and keep pace with the times.” –Thomas Jefferson to Samuel Kercheval, 1816. –Thomas Jefferson: Address to Cherokee Nation, 1806. Jefferson to C. W. F. Dumas, 1787. –Thomas Jefferson to Wilson Nicholas, 1803.
from the words, but may be sought also in extraneous circumstances,provided they do not contradict the express words of the law.” –Thomas Jefferson to Albert Gallatin, 1808.
would make our powers boundless.” –Thomas Jefferson to Wilson Nicholas, 1803.
which our Revolution and present government found us possessed.” –Thomas Jefferson to A. L. C. Destutt de Tracy, 1811. “I have always thought that where the line of demarcation between the powers of the General and the State governments was doubtfully or indistinctly drawn, it would be prudent and praiseworthy in both parties, never to approach it but under the most urgent necessity.” –Thomas Jefferson to Joseph C. Cabell, 1814.
be done for the best.” –Thomas Jefferson to Joseph C. Cabell, 1816.
aristocrats of a Venetian Senate.” –Thomas Jefferson to Joseph C. Cabell, 1816.
a single one.” –Thomas Jefferson: Notes on Virginia, 1782.
against it.” –Thomas Jefferson: Notes on Virginia, 1782. Jefferson to Gideon Granger, 1800.
not cured in one way will cure themselves in some other.” –Thomas Jefferson to John Sinclair, 1791.
rebellions should we have had already?” –Thomas Jefferson: Notes on Virginia, 1782.
et sola ratio regum.” –Thomas Jefferson to Spencer Roane, 1821.
assume the authorities of the other.” –Thomas Jefferson to William Charles Jarvis, 1820.
keep the rest in order; and those who have once got an ascendency and possessed themselves of all the resources of the nation, their revenues and offices, have immense means for retaining their advantages.” –Thomas Jefferson to John Taylor, 1798. Jefferson: Reply to Address, 1801. Jefferson to Archibald Thweat, 1821.
the machine of government.” –Thomas Jefferson to A. L. C.
Jefferson to Richard M. Johnson, 1808. Diffusion of Knowledge Bill, 1779. –Thomas Jefferson to Wilson Nicholas, 1806. Jefferson to John Adams, 1813. –Thomas Jefferson to John Adams, 1813. Jefferson to James Martin, 1813.
their constituents.” –Thomas Jefferson to John Jay, 1785.
which they may profit and then profit by their measures.” –Thomas Jefferson to Edward Rutledge, 1796. Jefferson to John Melish, 1813. “Whenever a man has cast a longing eye on [offices] a rottenness begins in his conduct.” –Thomas Jefferson to Tench Coxe, 1799. Jefferson to William T. Barry, 1822.
up by general rules.” –Thomas Jefferson to Philip Mazzei, 1785.
of our choice to silence our fears for the safety of our rights. “The representatives of the people in Congress are alone competent to judge of the general disposition of the people, and to what precise point of reformation they are ready to go.” –Thomas Jefferson to Mr. Rutherford, 1792. –Thomas Jefferson: Report for the University of Virginia, 1818.
of favoritism should creep in and pervert that of equal rights. Jefferson to Joel Barlow, 1807. –Thomas Jefferson: Notes on Crimes Bill, 1779. Rights of British America, 1774.
principles.” –Thomas Jefferson: Notes on Virginia, 1782. –Thomas Jefferson to John Dickinson, 1801. –Thomas Jefferson: Reply to Vermont Legislature, 1807. –Thomas Jefferson to Samuel Kercheval, 1816.
to C. W. F. Dumas, 1787. BECAUSE it would be injured, that proceedings should be secret. public interest.” –Thomas Jefferson to George Washington, 1793.
which can support an administration.” –Thomas Jefferson to James Monroe, 1824. “Let nothing be spared of either reason or passion to preserve the public confidence entire as the only rock of our safety.” –Thomas Jefferson to Caesar Rodney, 1810.
morals of the people and every blessing of society depend so much upon an upright and skillful administration of justice, that the judicial power ought to be distinct from both the legislative and executive and independent upon both, that so it may be a check upon both, as both should be checks upon that.” –Thomas Jefferson to George Wythe, 1776.
that which feeds them.” –Thomas Jefferson to Spencer Roane, 1821.
at least in a republican government.” –Thomas Jefferson to Thomas Ritchie, 1820. –Thomas Jefferson to John Hampden Pleasants, 1821. Compilation copyrighted 1996 by Eyler Robert Coates, Sr. Permission hereby granted to quote single excerpts separately. Pretty nice post. I simply stumbled upon your weblog and wanted to mention that I’ve really loved browsing your weblog posts. After all I will be subscribing in your rss feed and I hope you write again very soon! Thanks for the comment. Since I’m heavily censored on all the government’s search engines and the predominately covert op ‘truth’ sites, outside of rense.com and that is only for a very limited time, although has reposted several of my articles several timess, that is about the only way to find me. To see even a partial listing of my articles, one has to go to the end of my ‘single notation of my website’ on a search of “Ed Ward, MD” (the easiest way to find many of my articles is to go to my wordpress website) to ‘In order to show you the most relevant results, we have omitted some entries very similar to the already displayed”. Otherwise, if one does not take the single reference to my wordpress site, you only get listings a few of my articles at other sites. As for more, I’m on break for a while. I’ve documented proven US treason, fascism, murder, and tyranny multiple times on my site. Until the herd starts to wake up with boycotts and work strikes for impeachment and indictment of the entire US government in real Constitutional trials with the needed accountability. I tire of moving on to the next atrocity, while the real criminals rake in their blood money, fame and ‘public adoration’. Best – you and all of US need it as we continue to let murderous scumbags rule, bleed and destroy US.and the entire planet.